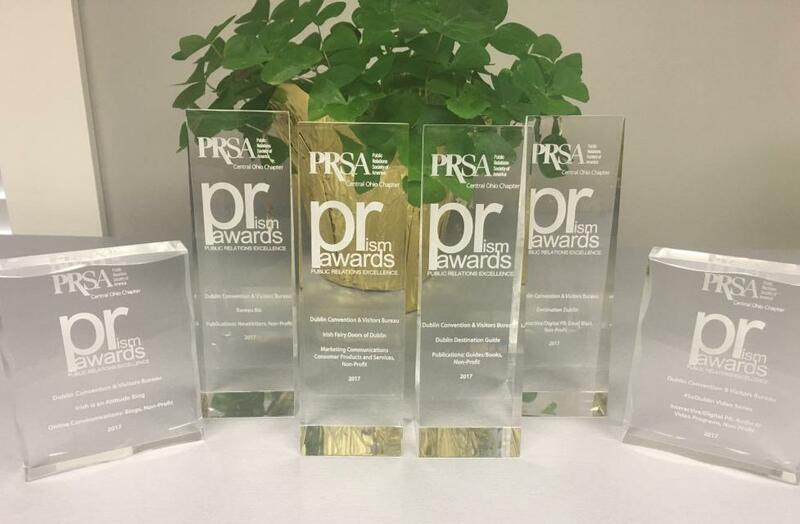 Competing against the top corporations, agencies, non-profit associations, colleges and other businesses across central Ohio, the Dublin Convention & Visitors Bureau today earned six industry achievement awards for excellence in public relations from the Central Ohio Public Relations Society of America. The PRism Awards are designed to honor exceptional public relations activities from a diverse mix of businesses, industries and backgrounds throughout central Ohio. The annual PRism recognizes organizations and companies across Central Ohio in 39 different categories. The Central Ohio Chapter of the PRSA is a leader in furthering the development of Columbus’ public relations professionals. Founded by a small group in 1951, the organization has grown to serve more than 350 members in the agency, corporate, government and non-profit sectors.